The New Year is the perfect time to look back on the previous year’s accomplishments (and duds!) with pride, (or possibly embarrassment), and determination to improve. There were definitely ups and downs with One Time Through in 2015. I’m proud of how much I’ve learned about blogging, and love that I still continue to learn new things every day. But when I think back on 2015 – I feel most blessed to have you here with me. Learning about how to be a more positive parent, and sharing your ideas and experiences with me. You are the reason that I can be found on my computer most nights typing away happily about things I’ve learned and want to share. Thank you! 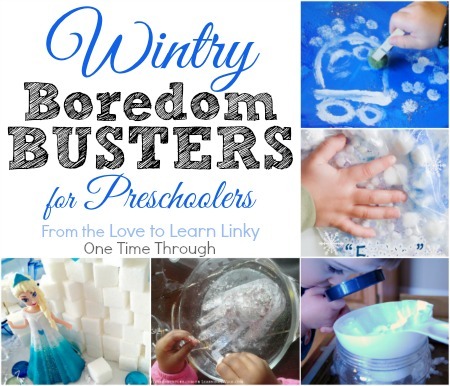 I hope you enjoy looking back at the most popular parenting and educational play posts of 2015 from One Time Through – as decided by you – my fabulous readers! My biggest parenting goal this year was to continue to learn how to be a more positive parent. 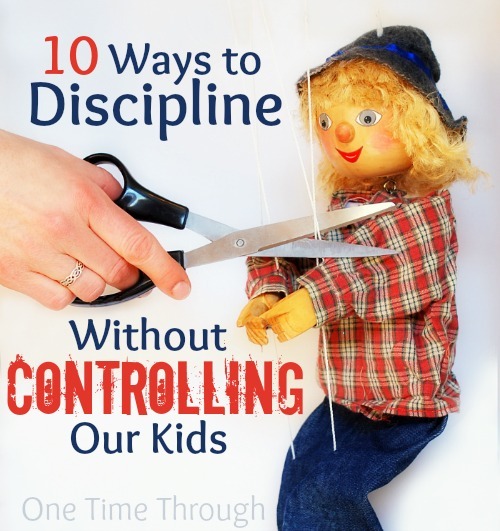 It was no surprise to me that the top 3 most popular parenting posts had to do with discipline and helping kids deal with feelings. Although this post stirred up a little controversy on Facebook, it has been one of the most read posts this year! When I realized that you were as interested as I am in learning about your child’s feelings and encouraging empathy, I wrote this post to share some of the terrific books, products, and activities I found to help parents teach emotional intelligence. 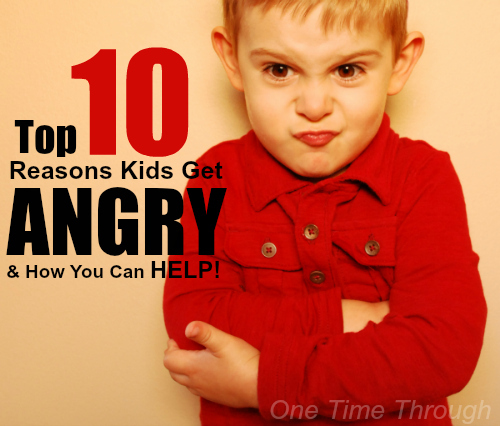 After taking a parenting course about emotional health this spring, I had to share all the things I learned about why kids (and parents) get angry and how we can respond more positively. 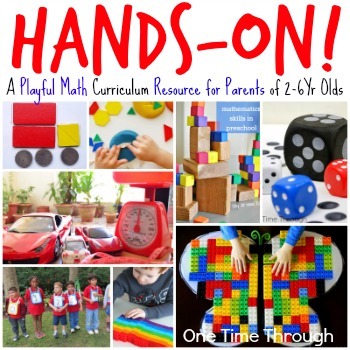 I was thrilled to see that you found my playful math curriculum helpful this year – I created it out of necessity when I realized I wasn’t doing enough of this kind of thing spontaneously with my son. 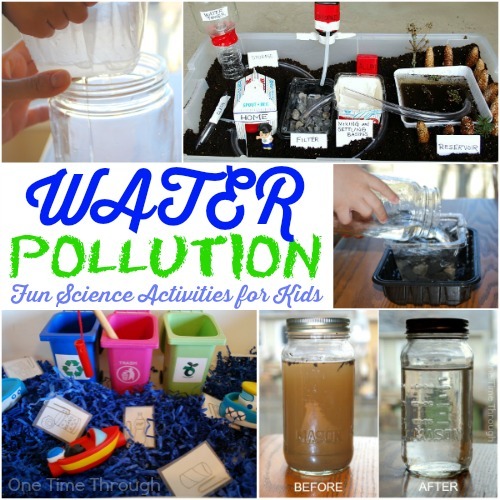 When Onetime took a sudden interest in plumbing and water treatment this year, we learned a ton, and had a blast, using these fun activities. 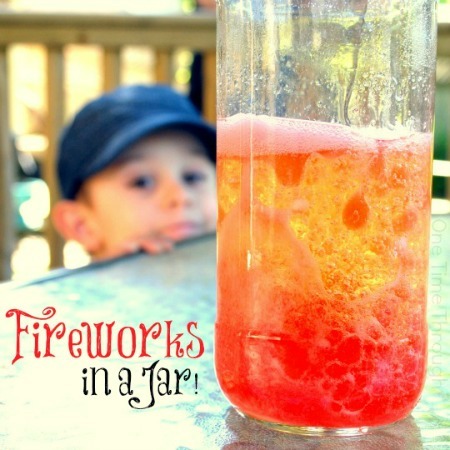 This activity has to be my favourite science experiment of the year. Even the neighbours got a kick out of watching this one! The January blahs…yep…they’re just starting again. I’m going to have to remind myself of all the fun things we did last year to combat the winter blues! 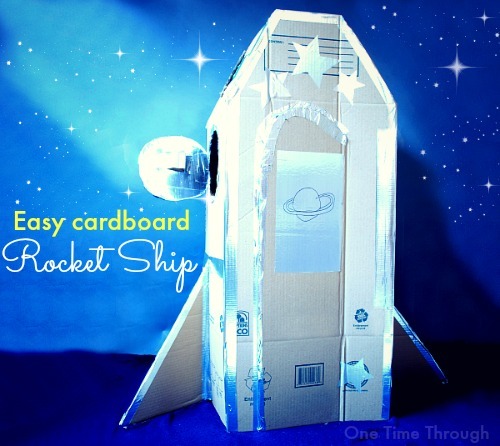 This cardboard rocket ship was honestly in our basement for over 2 months because Onetime would not let me recycle it! We sure got our $5.00 worth out of this box. 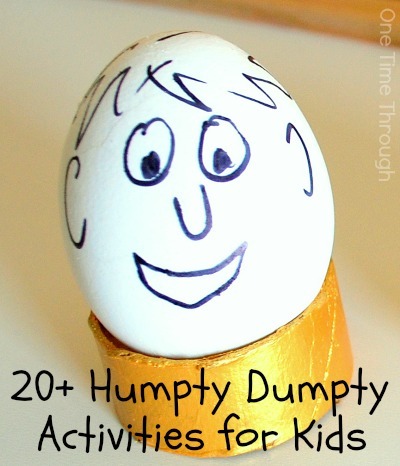 This collection of Humpty Dumpty experiments and activities was so much fun and led to some really great learning! Well, one of the posts that I worked the hardest on, in which I share what insight dramatically changed my understanding of myself, and my parenting – flopped BIG…time. It might have been my title (seemed too good to be true? ), or the picture I used (man…she looks stressed! ), but if you didn’t get a chance to read it the first time – I would be honoured if you would check it out today. 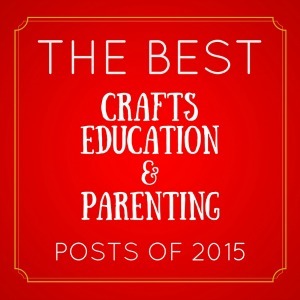 And with that, I end my top 10 parenting and educational play posts roundup. Was your favourite post here? But wait…I’m not done yet! Today’s post is also linked up to a whole bunch of other bloggers and their most popular posts of 2015. You can find all their posts linked up below. Grab a coffee or tea, pop the TV on for the kiddos, and have fun surfing! After all, you deserve a bit of time to reflect on the best of the past year. I hope you enjoy! You have so many awesome activities and information for parents and educators! 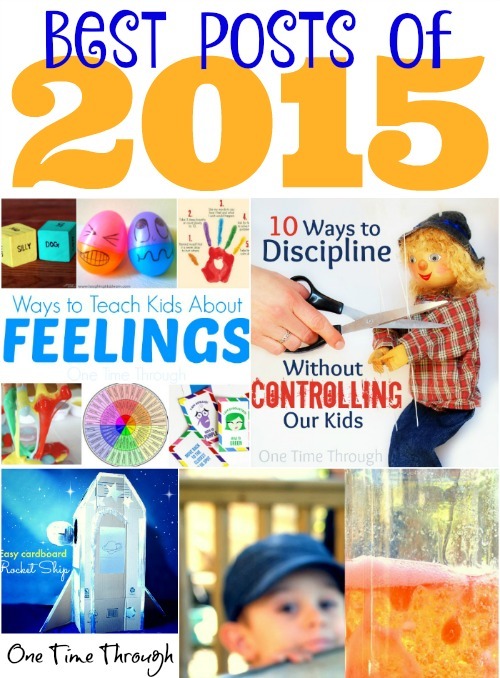 My favorite is your Best resources for Teaching Kids about Feelings. Thanks so much Shelah! 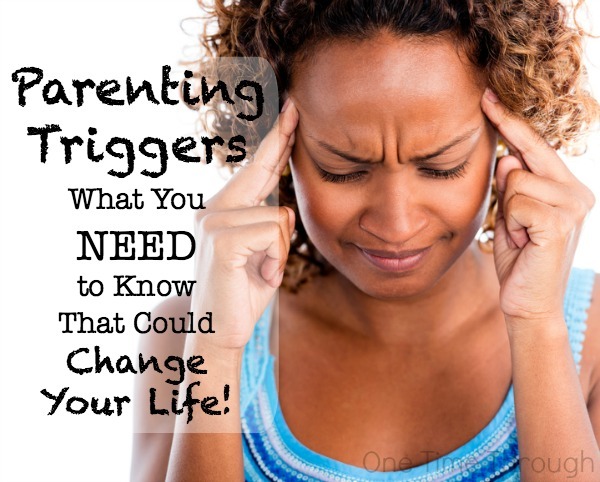 It’s a topic close to my heart and such an important one for kids. Thanks for dropping by! So many great posts from the year! Can’t wait to check out the playful math ideas post. Such a fantastic range of posts. The teaching kids about feelings is great as I always find this a difficult one when caring for very young children. Thanks for dropping by Clare. 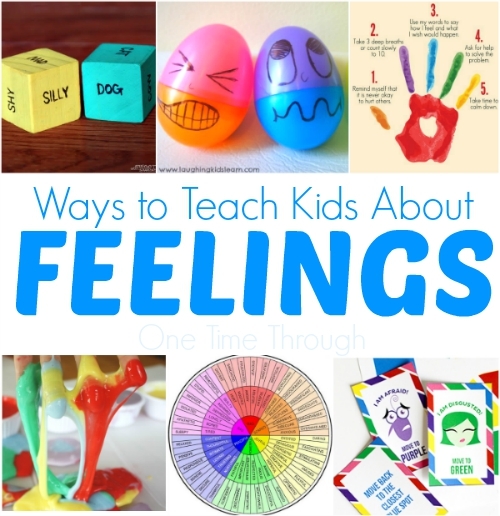 Teaching about feelings truly is one of the most important things we can do for our kids. It helps contribute to their future resilience and their attachment to us in the now. Thanks for dropping by! Love your articles, especially the behaviour posts.